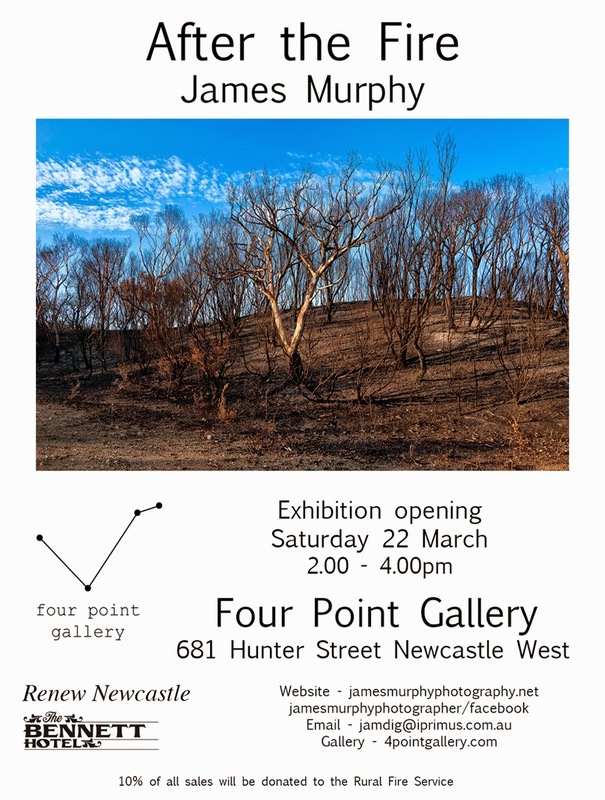 This exhibition opens on 22 March between 2 and 4pm and features the photographs of TAFE Photomedia teacher James Murphy. The photographs document the devastation wrought by the bushfire that swept through Catherine Hill Bay and Nords Wharf last November. The exhibition will be open to view between 19 March and 4 April, Wednesday to Saturday.